Since March 2015, a new project has started with the Canton of Fribourg dealing with cliffs collapse in marine molasses. 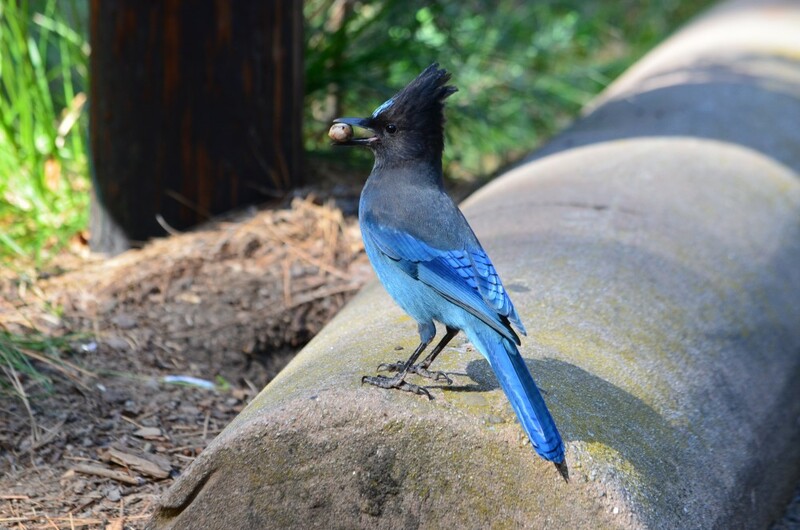 Mariam Ben Hammouda, PhD student from the Risk-Group, is working in collaboration with Benoît Mazotti, scientific collaborator of the Natural Hazards section in Forest Service and Wildlife (SFF) of Fribourg. Because of some recent rockfalls, 4 sites were selected to survey the stability of molasse cliffs and to study the triggering factor. 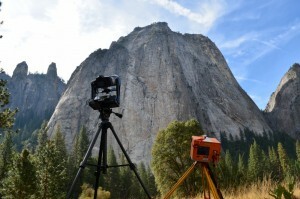 In that purpose GigaPan acquisition were done for two sites and Lidar scanning for all of them (http://gigapan.com/gigapans?query=mariam). This project aims to assess the susceptibility to rupture of cliffs in molasses and it will be involved as a case study in Mariam’s PhD. Left: a site in the Gotteron valley (with the LiDAR device). 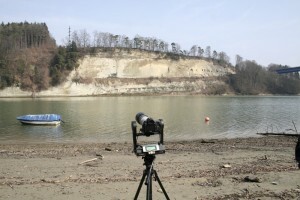 Right: site of La Madelaine (with the Gigapan device). LARAM is an International School on “LAndslide Risk Assessment and Mitigation” of the University of Salerno. 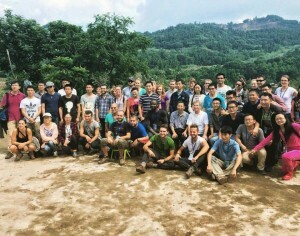 The School is held annually, and took place for the 3rd time in Chengdu (China) in 2015. 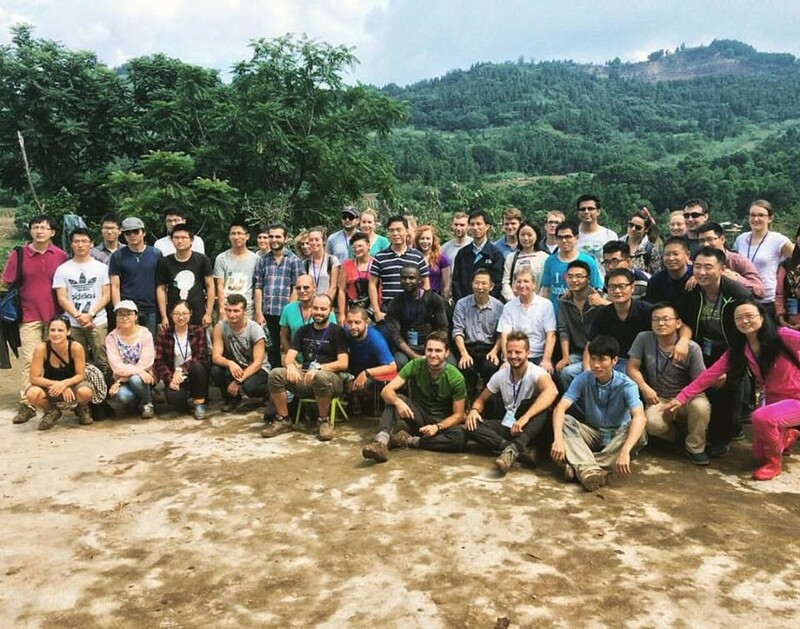 It gathers every year 40 PhD students with Civil, Environmental or Geological Engineering backgrounds. Mariam Ben Hammouda, a PhD student from the Risk group, and Ryan Kromer, a PhD visitor from Queen’s University in Canada, could join this summer course. The main objective of the School is to develop high educational interdisciplinary programs for assessing, forecasting and mitigating landslide risk. FOSS4G (Free and Open Source Software for Geospatial) is the annual global event by OSGeo, focusing on open-source geospatial solutions. It brings together developers, users, businessmen and academic researchers working in different fields of domains. This FOSS4G conference in Seoul (http://2015.foss4g.org/) was the first time in Asia with 562 participants from 48 countries. All other interesting talks and conference presentations are also available online at: https://vimeo.com/album/3605087. For the interested parties, the next FOSS4G conference will be held in Bonn, Germany for the year 2016, from 24-26 August. More detailed information can be found on the FOSS4G Bonn 2016 website. 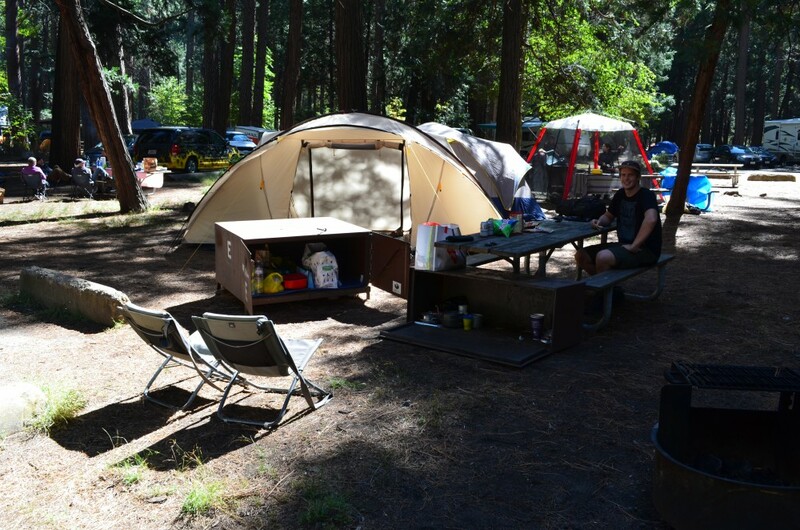 From 1 to 23 October, Antoine Guerin, Olivier Dubas and Michel Jaboyedoff spent three weeks at the North Pines Campground in the Yosemite Valley (California, USA). Since 2010, the Risk group works with GregStock of the Yosemite National Park service and with Brian Collins of the US Geological Survey to study rockfalls in this popular area. That was the fourth time the Risk group went there! All the famous cliffs of the valley (El Capitan, Half Dome, Cathedral, Glacier Point, Three Brothers, Rhombus wall…) have been periodically scanned with our Optech IlRIS LiDAR. The new 2015 data will be compared with the 2013 point clouds in order to identify rockfalls and complete the inventory of events maintained daily by Greg Stock. The purpose of this study is to improve the understanding of processes that control the erosion of steep rockwalls. 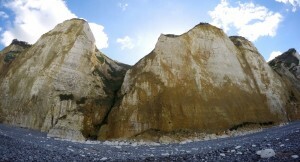 A series of thermal panoramas were also taken in the evening to see the effect of cooling on a cliff, in particular air propagation in fractured areas. Finally, a 24-hour monitoring was done on a 19 m high and 10 cm thick rocky flake. Thermal images were collected every 20 minutes and LiDAR acquisitions every hour. At night and within a dense forest, amid deers, bobcats and squirrels, this experience will be unforgettable! From 20 to 24 September 2015, Clément Michoud (PhD student), Jeremie Voumard (PhD student) and Patrick Huber (Msc student) were in the area of Dieppe (Normandy, France) for LiDAR acquisitions of cliffs from a boat on the sea Channel. They used a terrestrial laser scanner coupled to an inertial unit for this survey. 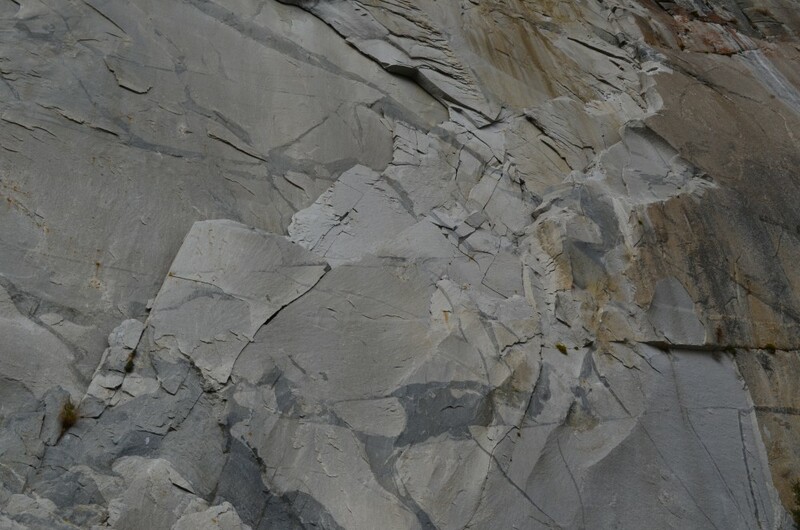 Although the weather conditions were not ideal, they scanned about 40 km of coastal cliff . 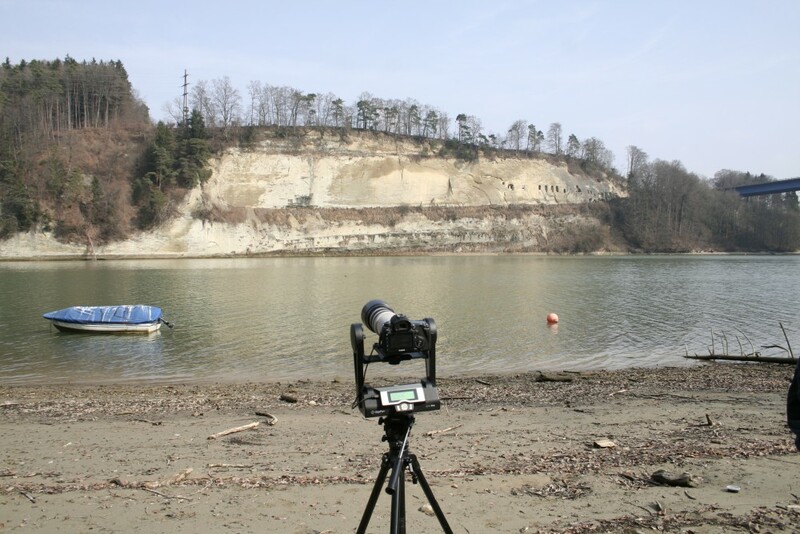 In addition to LiDAR data, they also took several tens of gigabytes of pictures in order to get photogrammetric models of the cliffs. 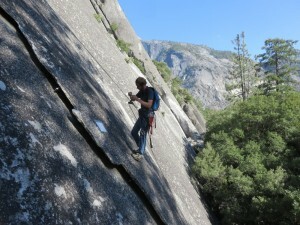 Both reflex and GoPro cameras were used. When onshore, they visited landslides and rockfalls at low tide at the foot of the cliff. 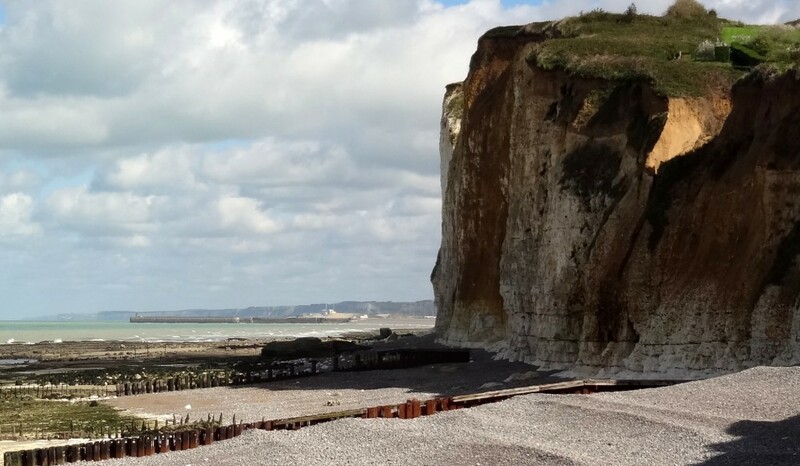 This work is part of a cooperation project on coastal stability, that the Risk group has since several years with the University of Caen (Stephane Costa, Olivier Maquaire, Robert Davidson and Pauline Letortue). It was made possible thanks to a fantastic boat pilot, Alban Legardien. Lucia Losasso is PhD student at the Engineering School of the University of Basilicata (Southern Italy). Her course in Engineering for Innovation and Sustainable Development address the study of innovative models for landslides risk assessment along roads in complex geomorphology areas (supervisor: Francesco Sdao). Lucia will stay at Unil until March 2016 to improve her knowledge in landslides susceptibility and risk assessment using different original models and softwares of the Risk Analysis Group. Valerio Sorrentino is PhD student of “Earth, Environmental and Resources Science” from the University of Naples “Federico II”. 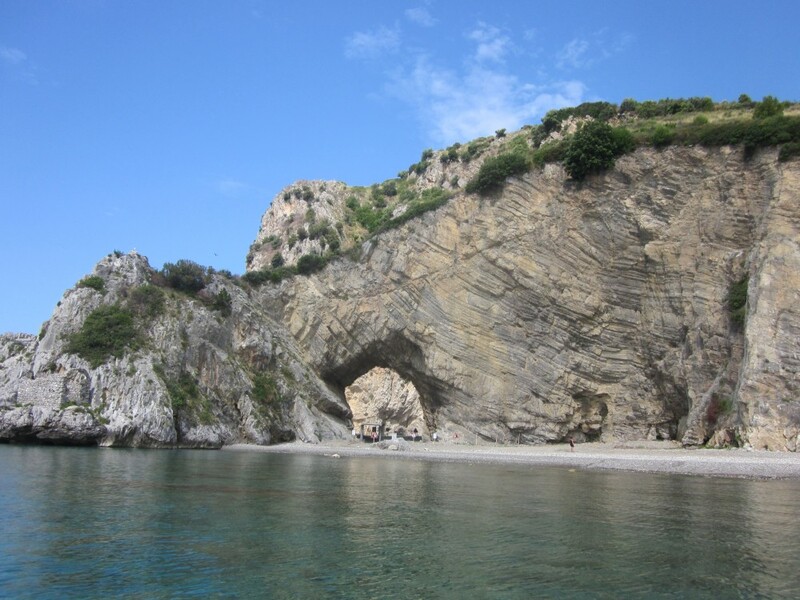 He will stay in Lausanne for two months to work on his research project about “rockfall susceptibility in the Cilento carbonatic cliffs, Campania region” ( supervisors: Paola Romano & Antonio Santo). In Lausanne, Valerio will develop his knowledge and practical skills in 3D point clouds processing. Welcome to both of them ! 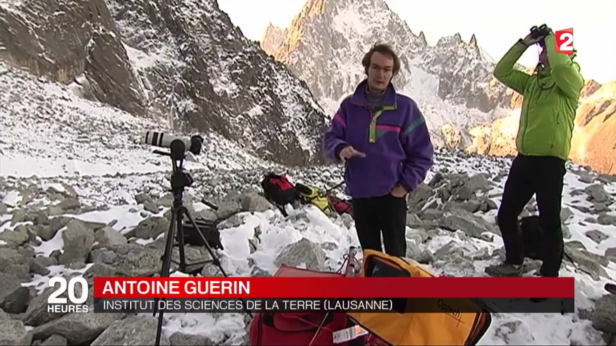 On Tuesday 3rd November 2015, three minutes of the TV news of the French national channel France2 were dedicated to research activities that Ludovic Ravanel (CNRS, University of Savoie) and the Risk Group (ISTE, University of Lausanne) have together in the Mont-Blanc massif. This research takes place around the Drus Mountain, an iconic peak of the Chamonix valley. 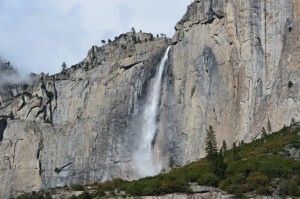 The 1000m high West face of the Drus is affected by intense rockfalls since the beginning of last century. In June 2005, a large event of 265’000 m3 (Ravanel and Deline, 2009) destroyed the Bonatti pillar and numerous legendary climbing routes. 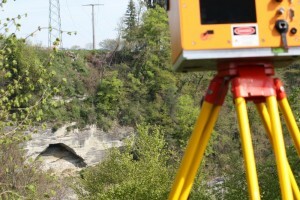 Since 2010, the Risk Group proceeds to laser scanning acquisitions (LiDAR) every year in late season. These data are used to build high resolution 3D models of the relief, to estimate volumes of rockfall events and to analyze the mechanisms involved (Matasci et al., in prep). Martin Franz and Michel Jaboyedoff participated to the conference GeoQuebec 2015 – the 68th Canadian Geotechnical Conference, which held in Québec city from 22 to 23 September 2015. They presented two papers: one about the modelling of the tsunami generated by the Nicolet Landslide of 8 May 2006 and the second about the estimation of the failure surfaces and volumes of landslide based on simple geometrical methods. They participated to the very nice field trip in the Charlevoix after the conference. 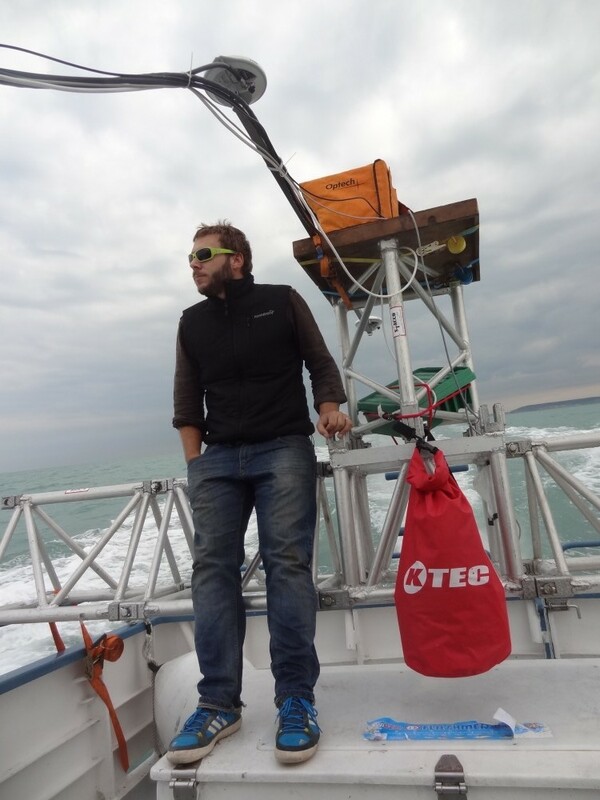 In addition, both stayed one week more to collaborate with the team of Prof Jacques Locat at ULAVAL, with the project Parachute and to improve the simulation of Tsunami. We must congratulate our colleague Prof Jacques Locat who received the 2015 CGS Legget Medal, which is the most prestigious Canadian Geotechnical Society award.